Although I will always be a Michigan girl at heart, I've lived in North Carolina for 16 years, and all three my children were born here. 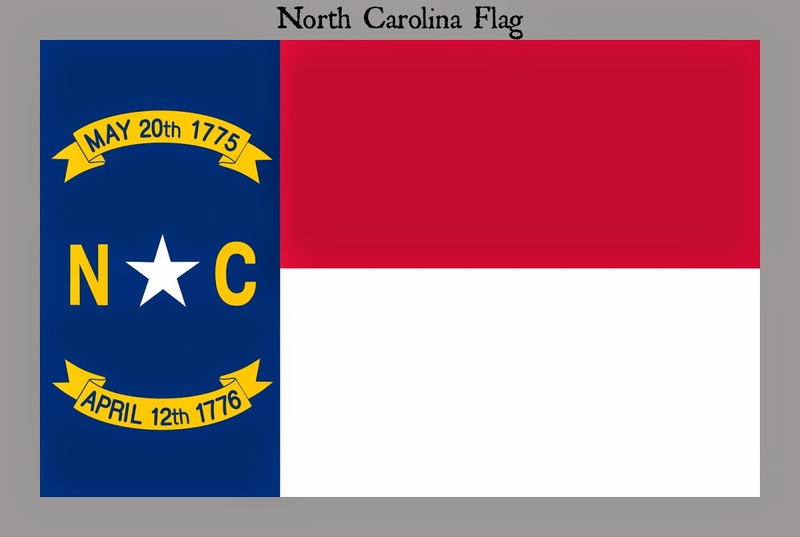 Funny story: when I was in 5th grade, I informed my social studies teacher there was no such state as North Carolina. My parents still think it's only right and just that I've spent most of my married life living in a state whose existence I once denied. We recently learned that we will be moving to Colorado in a few months, so it was a great time for me to put together a little unit study on this beautiful state we've called home for these past years. 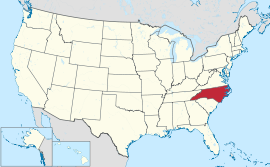 North Carolina was one of the original 13 colonies, and became the 12th state on November 21, 1789. From the Atlantic coast, to the Piedmont, to the Blue Ridge Mountains, you can see an amazing range of terrain in this one state. The weather here is just about opposite what we had in Michigan - it's beautiful for most of the year, and only too hot to be outside in the summer. Official Motto: Esse quam videri: "To be, rather than to seem"
Unofficial Motto: "First in Flight"
North Carolina claims three presidents: Andrew Jackson (7th), James Polk (11th), and Andrew Johnson (17th). Orville and Wilbur Wright completed the first flight of a mechanically propelled airplane at Kitty Hawk, NC in December of 1903. The Wright Brothers Memorial is located at Kitty Hawk. Babe Ruth hit his first professional home run in Fayetteville, NC in 1914. Mount Mitchell, part of the Blue Ridge Mountains, is the highest mountain in the eastern United States. Jockey's Ridge, located at Nag's Head, NC, is the tallest natural sand dune system in the eastern United States. North Carolina's state horse is the Colonial Spanish Mustang, and you can see these beautiful animals if you visit the Outer Banks. Cornbread - WAY different than the way we made it in Michigan! Buttermilk Biscuits - It just wouldn't be the South without biscuits! Pimiento Cheese - I have had many versions of this wonderful stuff, but the best kind is definitely made with cheddar cheese, and the sharper, the better. North Carolina (Hello USA) - Great book with lots of quick information about North Carolina. Check your library! The Twelve Days of Christmas in North Carolina (The Twelve Days of Christmas in America) - I found this book at Sam's Club last year, and we really enjoyed it! It's about a little girl who gets to go on a helicopter trip with her cousin and aunt for a Christmas gift. Lots of great information about fun things in North Carolina. Kids Love North Carolina: A Family Travel Guide to Exploring Kid-Tested Places in North Carolina...Year Round! - I have this book, and love it. I learned about lots of things I didn't know, even after living here for 16 years! Nature Guide to the Carolina Coast: Common Birds, Crabs, Shells, Fish, and other Entities of the Coastal Environment (2nd edition) - Small book, only 148 pages, perfect size to be the one thing you take with you on a visit to the Carolina coast. Check out the original link up for more state studying fun!